Where does change come from? Well, that depends on where YOU come from! It’s a known fact that most people don’t like change. Change means we must put in more work, change pre-existing perceptions of things and perhaps lose some control over a given situation. By simply being aware of these reasons, you can counter some of the negative reactions and make change less painful. The key to being prepared for when the unavoidable happens is being able to predict where change comes from. We already know from the established cultural dimensions theory that your attitude towards change will vary by culture. It also turns out the notion of where change comes from varies around the globe. In a recent study, I asked 1,000+ decision makers in 12 countries for their view on what factors trigger change. The responses were mapped in a two-dimensional matrix and the average response from each of the twelve cultures were plotted on the graph. The differences we found turned out to be greater than we anticipated. First, let me explain how this matrix works. The horizontal axis explains to what extent change occurs naturally within an organization (far left) or if it is triggered by events beyond the company’s control (far right). The vertical axis adds hierarchy to the mix, with change being initiated by senior leadership/government on the top, and more of a grass-roots approach at the bottom. The results indicate four clear areas as to where change comes from and the very different attitudes associated with each area. It is a pleasant situation to be in, with full control of what is to come and a sense of shaping one’s own destiny as an organization. The downside, however, is that change in a company’s senior leadership itself can damage the financials of that company. If Goliath falls, or decides he needs to broaden his horizons elsewhere, you can count on major change with the new management. The other top half of the quadrant is Laws & Government. Laws and government share the ethos of change coming from the top, but “the top” in this case means the leading bodies of a country: laws and the government. Decisions from senior leaders can still trigger change, but for organizations in Brazil and China, the control they have over change is significantly smaller. In these instances, it is individuals outside of an organization who are calling the shots and imposing change. If government is stable and law changes are predictable, this is not as big of a problem as long as you keep the “follow the leader” mentality. But if laws are passed quickly and government is weak, this can be a major source of stress for company management. If stability is the strength, then the agility is the true weakness. For companies in this quadrant, the major concern is disruptive technology that can come along and pull the rug out from underneath their feet. In the opposite, bottom-left corner we find the Employees quadrant, inhabited by Sweden, Norway and Holland. Within these cultures, there is a perception that employees can initiate change and often come up with the ideas that will ultimately form the competitive edge. Senior leadership is still very important, but the role of the employees as instigators of change is almost equal to that of management. Hierarchies in these countries are, for cultural reasons, traditionally flat; a model that is mimicked elsewhere in the world with the hope of replicating the innovative culture that has come to represent the Swedish start-up tech mentality. Consequently, the worry about new disruptive technology coming along is low, and the mentality is that “change is in our own hands.” However, there are times were a swift decision must be made in order to cope with change, and the flat hierarchies of these cultures risk reacting too slow. A decision made is never final and can always be reexamined, which puts clarity at risk of being diluted. Informal and less effective structures may be working in the background, making it difficult to accelerate and move an entire company in a particular direction. Lastly, we have the Great Unknown in the bottom, right quadrant. 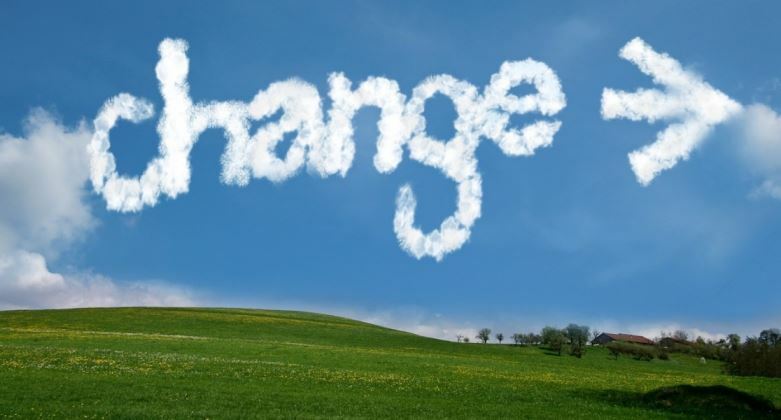 This is a difficult place to be in for any organization, as change is perceived to come from outside of an organization and from the “bottom.” Consequently, it is difficult to know what direction change will come from. In the top right quadrant you can at least identify whom you should pay attention to and try to influence, for instance politicians, but in the Great Unknown quadrant, there is no such party to monitor. Instead, your opponent is the market. If you are in this situation – where giving up is not an option – you are forced to accept the situation and deal with it. Organizations in this corner may still feel that they are in good control of what they are doing, but recognize that anything can happen at any time. For Germany, the US and the UK, change can come from new laws, as well as availability of goods and services, and disruptive technologies. Anywhere really. The vast differences are striking in how we view change around the globe. Both organizational culture and national culture are likely to play major roles in how we perceive change and what we worry about. Understanding these differences is crucial when working with customers around the world, and naturally, a foolproof way to prepare for any change is to stay as flexible as possible. We can spend time trying to figure out when the next change will occur, which is becoming a very real possibility in the near future with innovations such as business intelligence and marketing insights. But in the end, you cannot predict the complexities of a global market, much less control them. Instead, we should keep our eyes (and enterprise software) open to change in order to prepare for what’s around the corner because it is only by staying curious and open to change that you can prepare for what’s next.